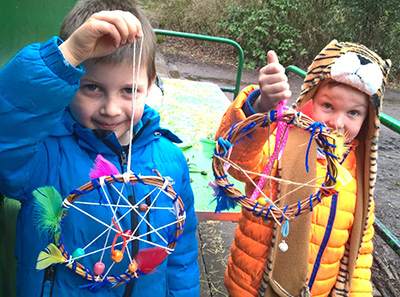 As part of our Easter Extravaganza programme, we recently took a group of children to Woolston Park to take part in Back to Nature activities. 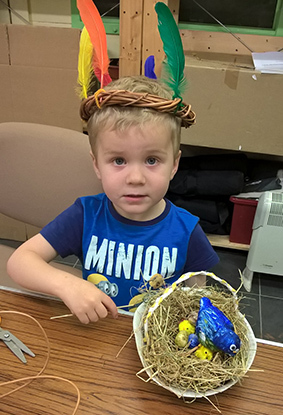 The children learned how to willow weave and have fun with sticks making head dresses, wreaths and dream catchers as you can see from the photographs. Later we had a scavenger hunt in the woods to see what could be found and made Easter birds nests (below) from gathered hay and twigs.